Carroll Valley Borough is home to 3 lakes (Lake Carroll, Lake Kay, and Lake May), 2 recreation areas (Carroll Commons and Ranch Trail Commons), a mini-park, and several auxiliary playing fields. Lake May is located along state Route 116, just south of the golf course. Lake May offers the public fishing and boating fun with a small picnic area. Lake Kay is located in "K" section of the Borough and can be accessed from Trout Run Trail. The public is welcome to enjoy fishing at the Kay Sullivan Park, and there is a boat ramp to enjoy boating, also accesible from Kay Sullivan Park, on Trout Run Trail. Kay Sullivan Park offers a small playground area for the children, which includes a picnic area, and handicapped accessible fishing pier. Carroll Commons hosts a large playground, picnic area and a pavilion. There is also a very popular exercise trail. 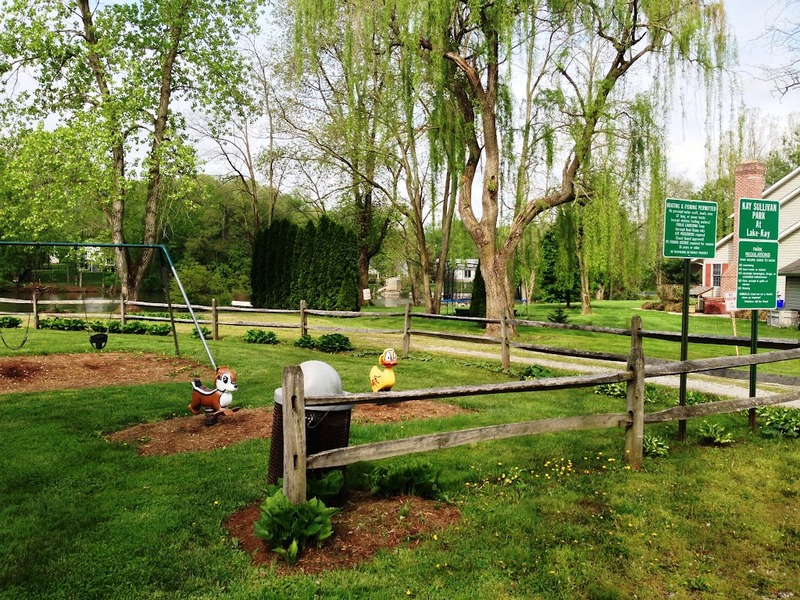 For your enjoyment, there is a basketball court, bocce court, horseshoe pits, and shuffle board. Restroom facilities are open on the Commons grounds during warm weather months. Lake Carroll can be found adjacent to Carroll Commons Park located in the center of our Borough. Fishing is permitted from the banks of the lake within the marked areas. No boating is permitted. Ranch Trail Commons hosts 2 playgrounds, 2 pavilions, numerous athletic fields, a walking trail, and restrooms. All public areas are open from dawn to dusk daily.